Online training programmes available. Start the journey by attending a Laser Workshop. Waterlase iPlus is a minimally invasive dental laser with expanded and enhanced capabilities to help you give your patients the best possible "wow"experience and the opportunity to differentiate and grow your practice. Waterlase iPlus includes SureFire™ YSGG Delivery System, the gold standard in ergonomics and clinical precision. Plus, the powerful REPAIR periodontal and peri-implantitis protocols are available as an app from the award-winning touch-screen user interface. This premium all-tissue laser now features the Aesthetics Fractional Handpiece for Skin Resurfacing, Wrinkle Treatment, and Scar Revision, made easy. Our smallest, easiest, most cost-effective Waterlase® yet! The right laser technology can change what it means to be, or visit, the dentist. It lets you perform more procedures in a single visit, with minimally invasive procedures that mean more stress-free moments for patients and staff. 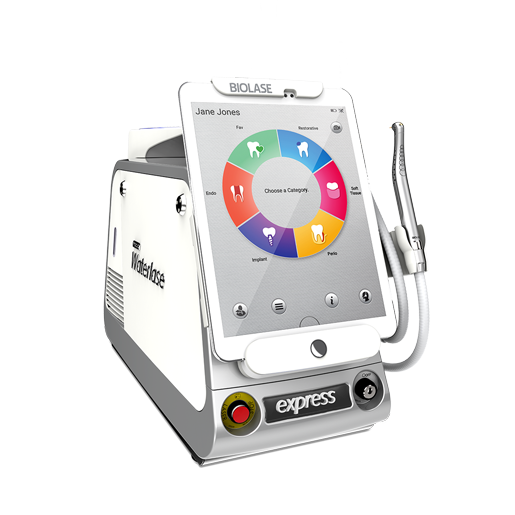 Introducing Waterlase Express—the more affordable, portable, and easier-to-use laser that’s ready to change your practice right now! 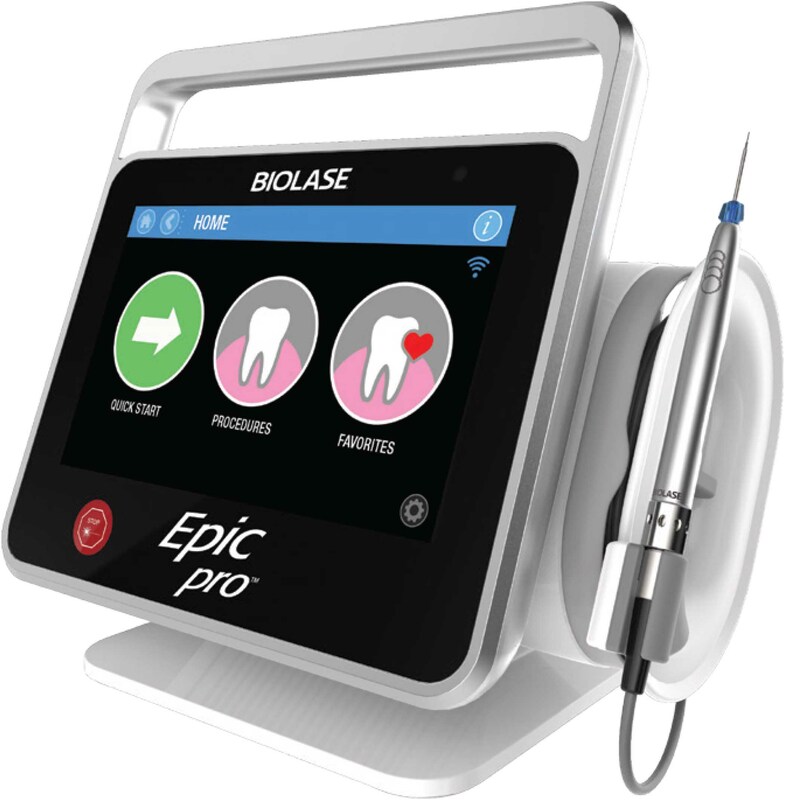 Epic Pro is the ONLY FDA-cleared laser with Automatic Power Control, an exclusive innovation from BIOLASE that enables the operator to lase with confidence and speed, still with the ideal 940nm wavelength. 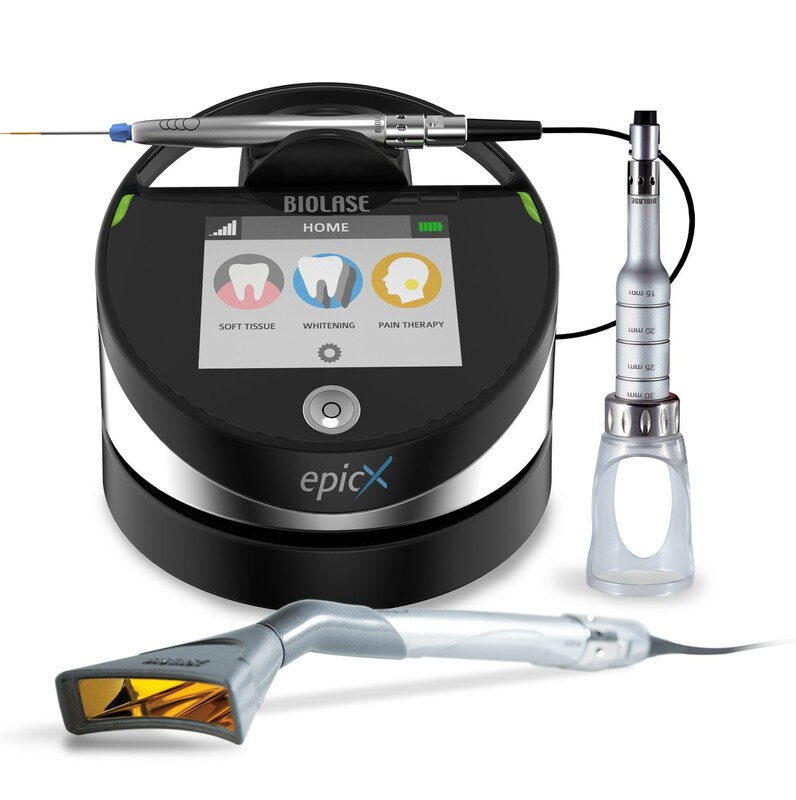 The EPIC X Diode Laser with its ideal 940nm wavelength for dentistry, achieves high absorption into haemoglobin, oxyhaemoglobin and melanin, resulting in a lower wattage necessary to “ablate” tissue (with the benefits of less charring and transferring of heat etc.). The 940nm wavelength allows for efficient cutting at lower power and with less heat. This wavelength’s absorption factors appear to be mostly in the ‘sweet spot’ making it an excellent all-round soft tissue laser. With no foot pedal, power cord or external controls, the iLase™ takes dental lasers beyond portable. The next instrument for your tray. The iLase is the laser for every dentist, every hygienist, every day. Available in various kit configurations for Hygienists*, General Dentists and Specialists, find the right iLase package for your practice.